Based on the book History on Trial: My Day in Court with a Holocaust Denier the film “Denial” is Oscar primed. Perhaps that is part of the reason the film has been released at just the right time for upcoming award consideration. The movie is based on the story of university professor Deborah E. Lipstadt. He goes up against World War II historian David Irving in a book about Holocaust deniers. Irving accuses her of libel, which sparks a legal battle for historical truth. The overall trial takes a number of years, but Lipstadt and her legal team prevail. Unlike the American system, English libel law it states the burden of proof is with the accused. This that Lipstadt had to prove the Holocaust did happen. 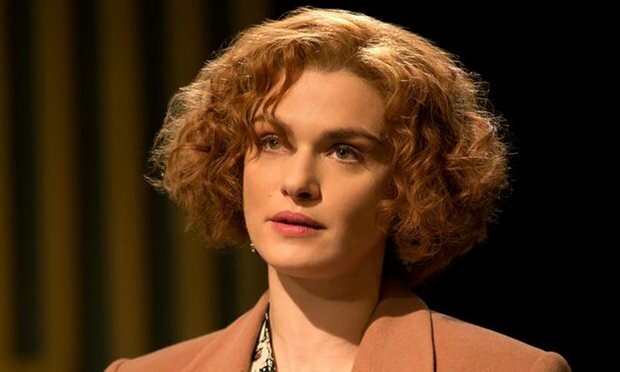 Actress Rachel Weisz portrays Lipstadt. We are shown that she will stop at nothing to fight prejudice. Weisz’ character never quite lives up to the potential we know must be there in order for her to take on such a court battle. Playing out as a courtroom legal drama, Tom Wilkinson comes through in his role as Lipstadt’s Scottish lawyer. Her additional legal team includes Anthony Julius played by Andrew Scott. His charactor is a British solicitor who also represented Lady Diana in her divorce case. It is also worth noting that during the actual trial, Lipstadt’s legal team never allowed her to take the stand and they refused to call forward holocaust survivors either. One standout scene shot in the morning at Auschwitz shows snow on the ground and a fog in the air. It sets the tone of what is at stake in the lawsuit. The camera pans across a massive heap of suitcases and shoes set behind a case illustrating a very important point. These items can be seen in a real exhibit at Auschwitz even today. The playwright/screenwriter David Hare wrote the script based on the original book, but director Mick Jackson played it a bit too safe overall on the implementation. Even though the subject is strong, the actors never seem to be given the chance to rise to the occasion. The story never takes that intense turn that keeps the viewer anticipating the next move. However, “Denial” is still worth a go see for the historical significance.